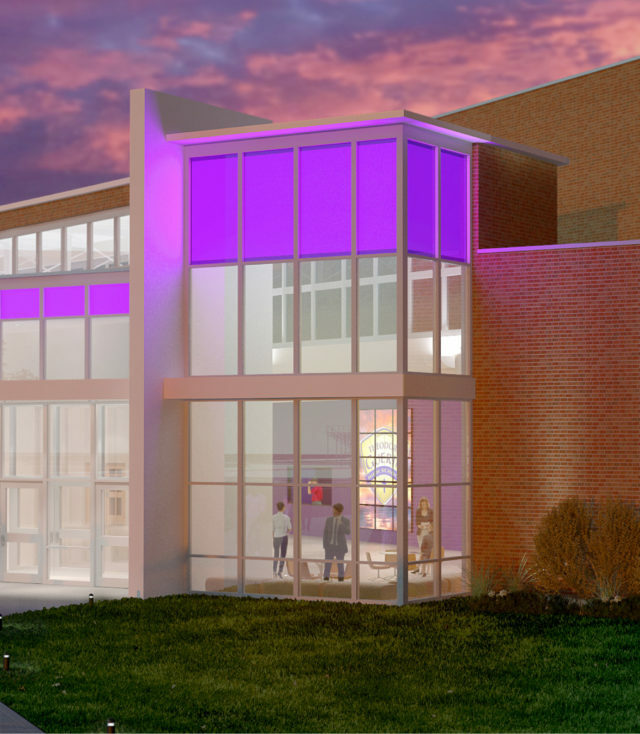 The future performing arts center at St. Theodore Guerin High School is designed to give students a vibrant new space where performance takes center stage. 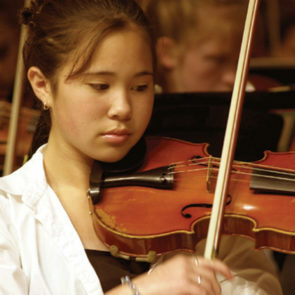 Despite limitations of their current performance venue, which is a small stage in the cafeteria, St. Theodore Guerin’s performing arts program has been growing rapidly and has experienced much success. 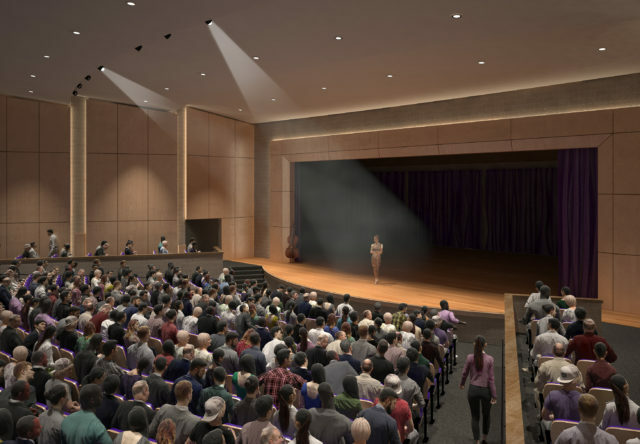 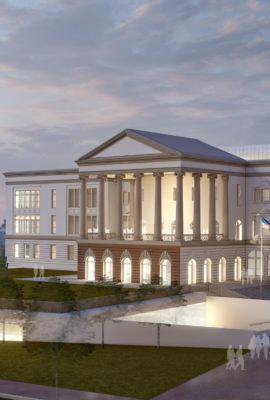 The new Performing Arts Center will provide a physical manifestation of the importance of the performing arts for both student performers and the community at large. 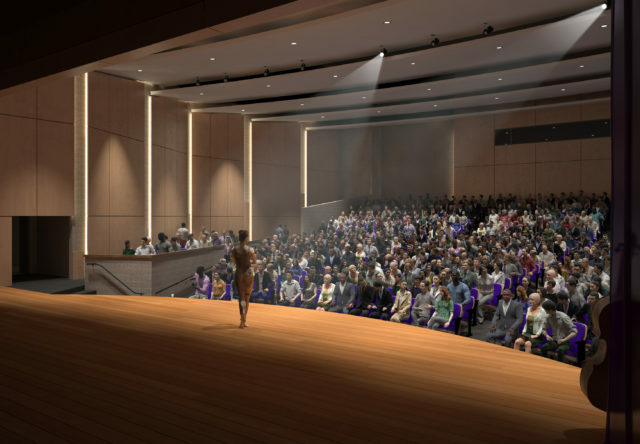 A new 750-seat auditorium will create an intimate environment for spectators to have an up-close experience with performers. 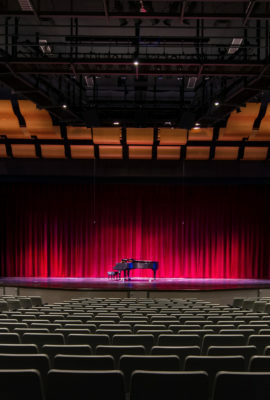 Likewise, the auditorium will give student performers the opportunity to connect with their audience. 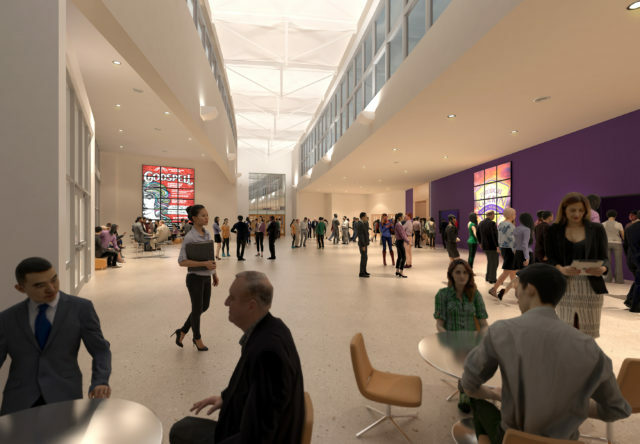 Support spaces will include a scene shop, dressing rooms, make-up rooms, costume and prop storage, fabrication areas and a dance room that doubles as a green room. 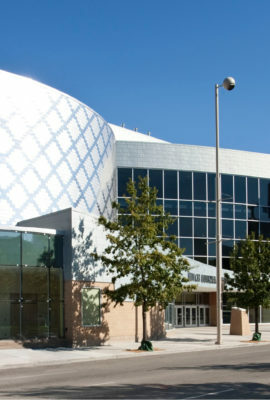 Another important feature of the design is a large lobby space that can host pre-function events and serve as an extra event space for the school at large. 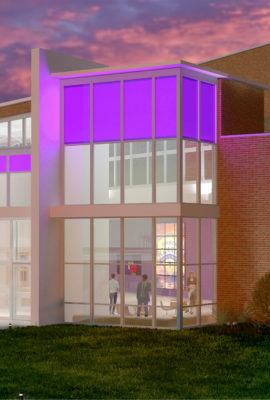 Our goal with the design of the St. Theodore Guerin PAC is to create an inspirational facility that supports student performers in every way.